As an avid wearer of corsets I was thrilled to have the opportunity to model for the company Love, Poetry Corsets. Their unique designs come in a beautiful array of fabrics and their shapes hug the body and flatter the figure. 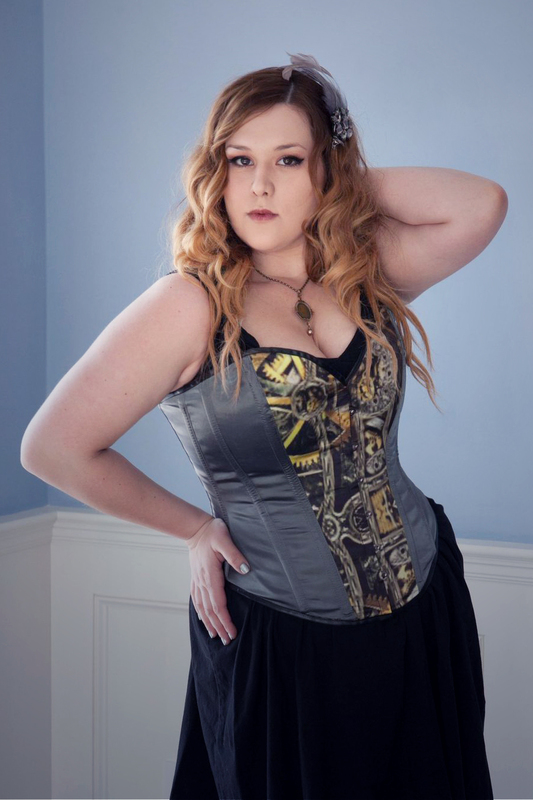 I got to model this steampunk inspired, overbust corset with a sweetheart neckline and back lacing.